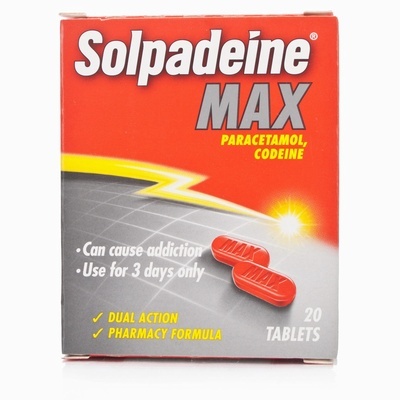 Solpadeine Max Tablets provide powerful relief from migraine, headache, period pain, rheumatic pain, toothache, dental pain, sinus pain, sore throat, fever, aches and pains of colds and flu. 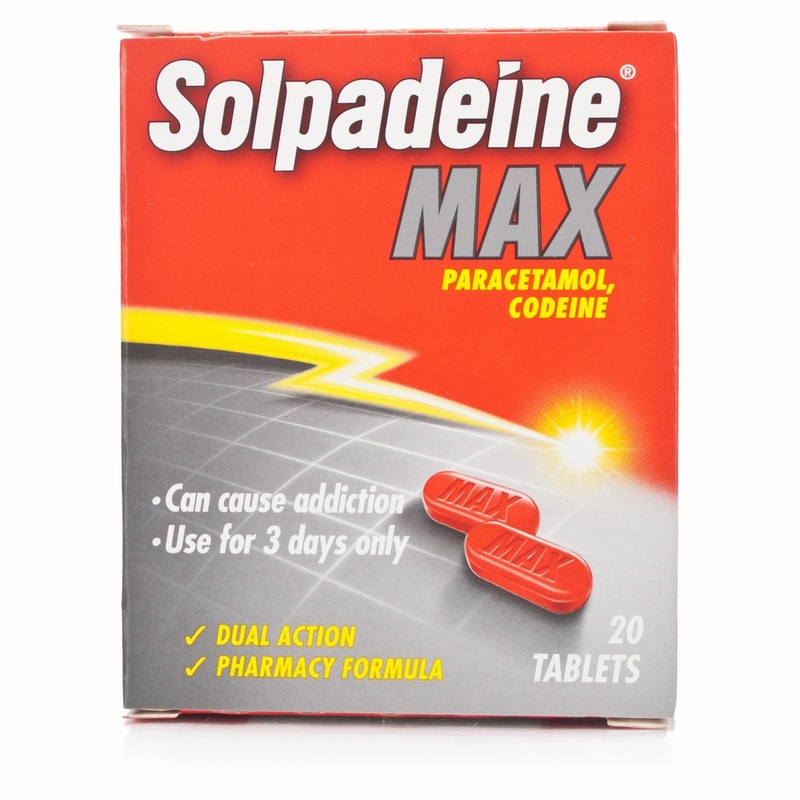 Contains paracetamol & codeine. Maximum strength pain relief. Easy to swallow tablets. Suitable for adults and children over 12 years. For 3 days use only. Can cause addiction.